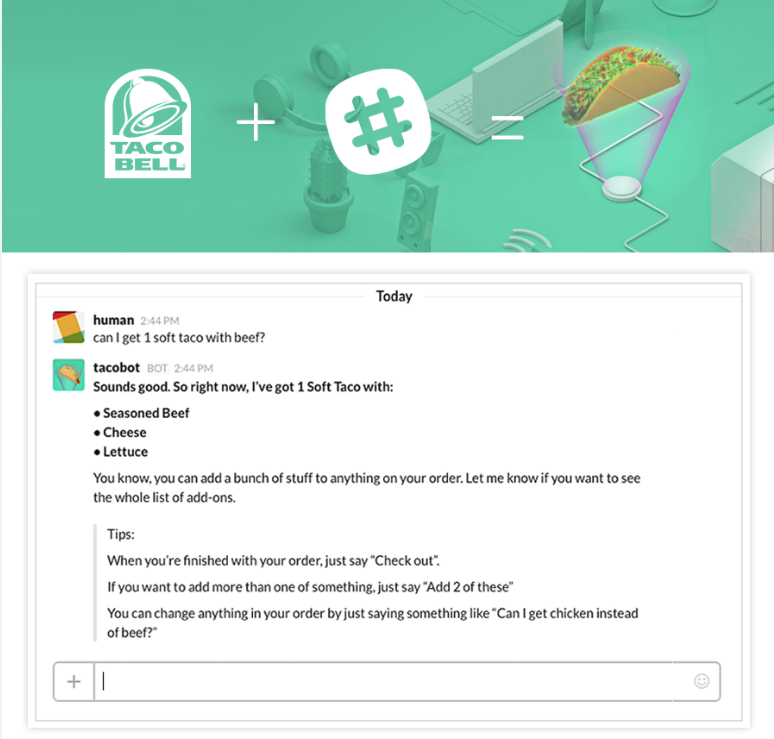 Taco Bell has teamed up with Slack to launch "TacoBot," which allows users to order food on the instant-messaging service used by companies for internal communications. TacoBot will be able to answer questions, recommend items, and "be fully equipped with the sharp and witty personality you'd expect from Taco Bell," Fortune reported. The feature is currently being tested with a number of companies including Giphy, Fullscreen, and FoodBeast. Taco Bell plans to expand TacoBot to other companies over the next few months. Lawrence Kim, director of digital innovation and on-demand for Taco Bell, said in the press release that the Mexican fast-food company wants "to make the brand more accessible wherever and whenever our fans want it." He added: "Taco Bell is about food tailor-made for social consumption with friends, and that's why integrating with a social communications platform like Slack makes perfect sense. TacoBot is the next best thing to having your own Taco Bell butler... and who wouldn't want that??" 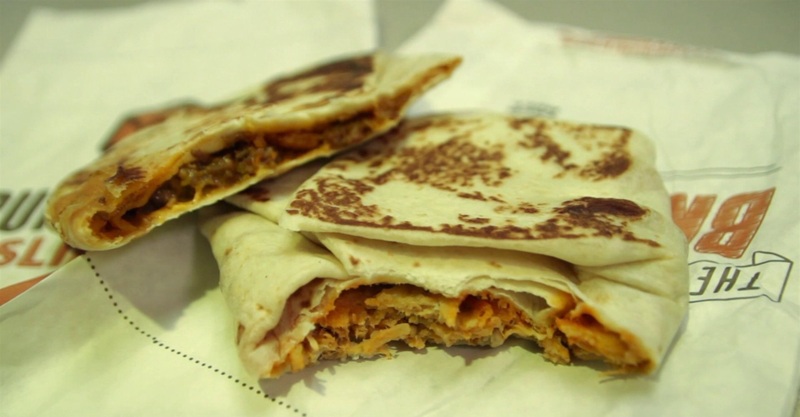 Taco Bell is not the first fast-food company to roll out imaginative easy-ordering systems. Last May, pizza company Domino's introduced "tweet to order," which made it possible for Twitter users to order simply by tweeting a pizza emoji.